Nassau, Bahamas - Although the City of Nassau gets a bad reputation in the international spotlight, Chief Superintendent of the Tourism Policing Unit Leamond Deleveaux said it could not get any safer for tourists. 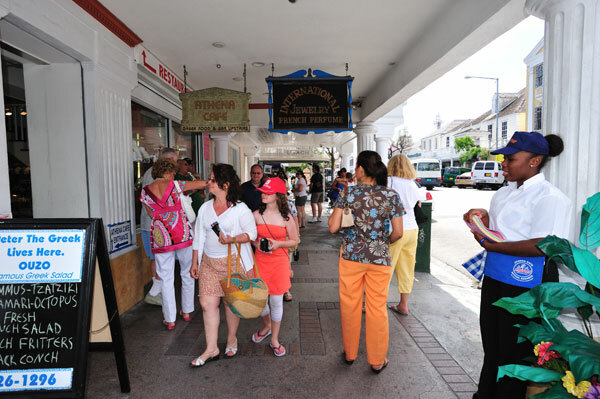 The City of Nassau or Bay Street is a great attraction for tourists and is a port of call for scores of cruise ships that bring millions of tourists to The Bahamas each year. It’s known for its shopping, dining, and dynamic nightlife. And though, there have been warnings about the area, Mr. Deleveaux said the Royal Bahamas Police Force has stepped up its security efforts to ensure that the area is safe. “Any day that you pass in the downtown area or those areas where tourists go, we have a very large number of police officers who are very vigilant and highly visible. Those officers are well trained, well-mannered and well disciplined and most importantly they love our Bahamas,” he said. There are 147 police officers in the Tourism Policing Unit. The chief superintendent says that the record does speak for itself. “I know of no major incidents reported to the police. I am amazed that people say there are crimes against tourists in New Providence. This is myth and not factual,” Mr. Deleveaux said. “If anyone has any information about crime in the downtown area against tourists then we welcome those reports. We don’t have any reports about crimes against tourists. Unruly persons are everywhere you go. But we do the best we can and where we see crimes against anyone – we move very effectively and efficiently to deal with those matters. Mr. Deleveaux said there are also closed circuit television (CCTV) cameras stationed in the downtown area. He added that his team constantly works with officials at the Bahamas Ministry of Tourism (BMOT) to ensure that visitors are safe.